My Friday was productive: I saved up to three lives. 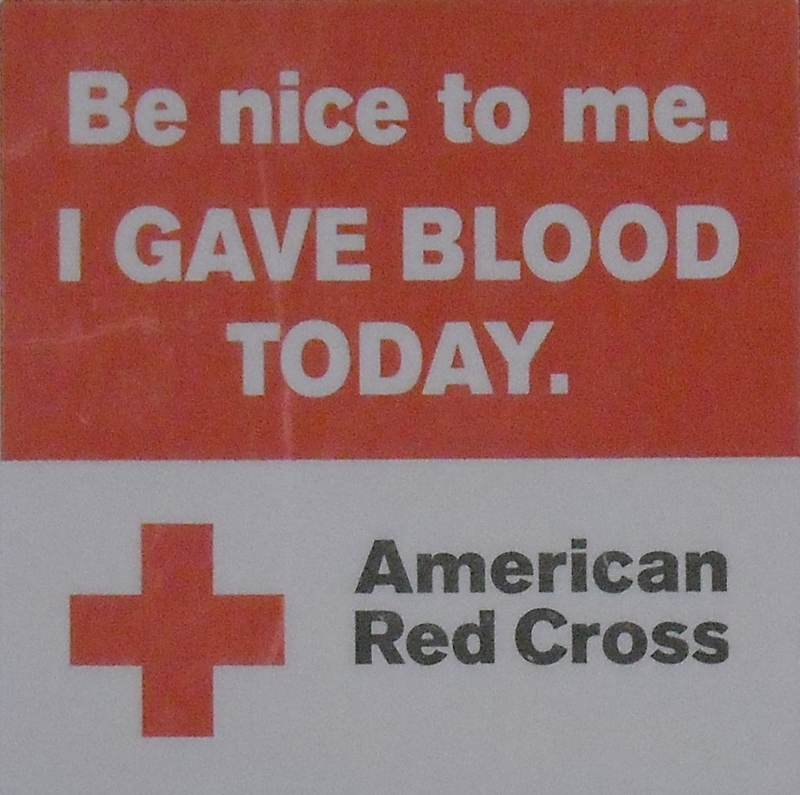 me too…but only platelets…my first platelet donation! we must be related! Awesome! And don’t say only platelets. It looks like platelet donations can be more valuable than whole blood. I’m the wrong type to donate platelets. They ask me to do double red cell donations, but it doesn’t really do anything additional. I’d be able to give half as often for the same benefit, but instead of a needle in my arm for less than 10 minutes, it would be 20-30 minutes longer. No thanks! I’d rather just give whole blood twice as often.